We make financing and leasing simple, easy and fun! Are you looking for an auto loan or Honda lease? Honda of Lincoln is your one stop shop. Our finance team has helped thousands of customers secure the low interest rate or short term loan to fit their budget. Whether you are in the market for a new Honda, or gently used car, our auto loan center would love to help. Don’t let credit problems hold you back from buying a new Honda, Honda Certified Pre-Owned Vehicle or one of our quality Used Cars. Call Honda at 402-437-1234 – we can help! Our finance experts are here to guide you through the financing process and help you get into your new vehicle. 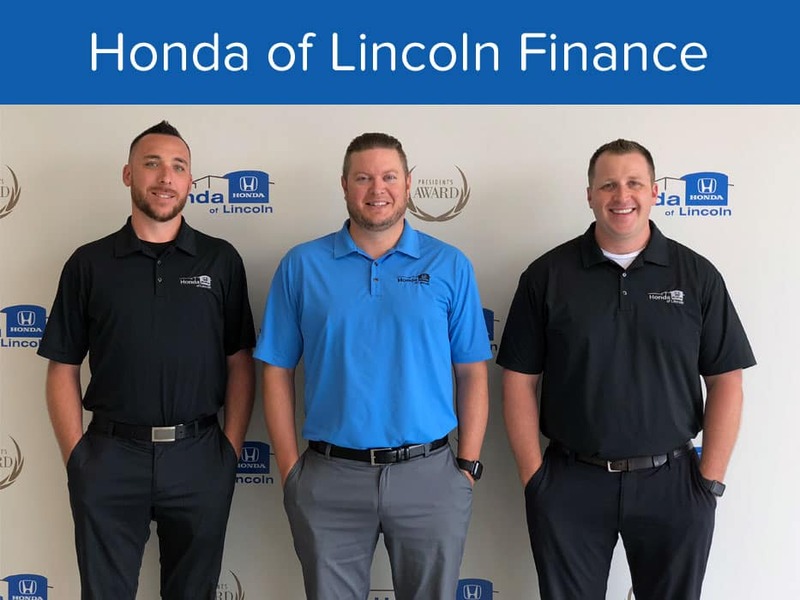 Contact Honda of Lincoln’s finance team today or if you’re ready to start the financing process, you can fill out our secure Get Financing here. Visit us at Honda of Lincoln and we can pair you with the perfect new Honda to fit your current lifestyle and budget. We have plenty of eco-friendly Honda Accord and Honda Civic sedans for sale, as well as Honda HR-V and Honda CR-V SUVs. Speak to our sales team, and they’ll help you decide which new Honda vehicle makes the most sense for you then visit our Honda dealership in person! Welcome to Honda of Lincoln, Nebraska’s volume Honda Dealer. We have a large selection of New and Used Hondas in stock, including the full line of Gasoline, Natural Gas and Honda Hybrid vehicles. The new Accord, Civic, CRV, HR-V, Fit, Pilot, Odyssey and Ridgeline are here. Honda Certified Used Honda cars along with other vehicle manufacturers. Honda of Lincoln has many satisfied customers in the Lincoln, Omaha, Grand Island, Fremont, Columbus, Seward and other surrounding area’s in Nebraska and Iowa.